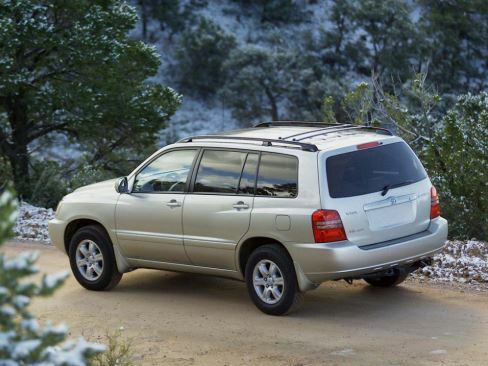 The first generation was presented in 2000 and at home was known as Kluger. The model was based on the Camry platform and equipped with front-wheel drive or all-wheel drive. The choice of buyers were offered modifications with 5 and 7 local salon. The first generation received two significant improvements: in 2004, instead of gasoline 2.4 and 3.0-liter engines, the crossover received a new 3.3 liter power unit with a capacity of 225 hp; in 2005, the first hybrid version was released. The second generation of the SUV was introduced in 2007. In addition to visual changes in the exterior and interior of the car received a 3.5-liter V6 with a capacity of 270 liters. . In 2010, appeared a redesigned Highlander of 2nd generation. And in 2013, the third generation of the crossover came out, the features of which were: a spacious 7-seater salon; stylish exterior; new line of powerful power units. The 4th generation or restyling of the 3rd one? The new Toyota Highlander, shown in the photo, will go to car dealerships before 2019, because the model was presented at the end of 2017 at the LA Auto Show. Experts believe that the car will compete with such popular crossovers as the Honda Pilot, Ford Explorer and Nissan Pathfinder. The 2019 model will also receive a wide range of color schemes: Blizzard Pearl; Alumina Jade Metallic; Toasted Walnut Pearl; Midnight Black Metallic; Celestial Silver Metallic; Predawn Gray Mica; Salsa Red Pearl; Ooh La La Rouge Mica. 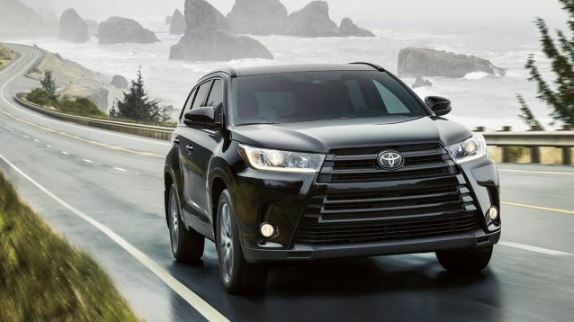 Since there is currently no official information about when Toyota Highlander 2019 will be released, its characteristics can only be based on the features of the hybrid presented in Los Angeles. There is a high probability that the next generation car will also be equipped with a hybrid installation, which will be based on a gasoline power unit, supplemented by powerful and economical electric motors. Motor gamma includes: Petrol 4-cylinder, Petrol V6, Hybrid V6 (gasoline + electric). Cars with petrol engines will be equipped with a reliable 6-tipper automatic, and a hybrid of a new generation – an innovative 8-mid-range automatic transmission. Working on the improvement of the model, Toyota engineers paid special attention to the safety of passengers and the driver. The car showed really good results, which is confirmed by the certificates of IIHS. They help to ensure maximum safety: a complete set of pillows; the latest generation of adaptive cruise control with a lane retention function; emergency braking system; collision avoidance function; a number of additional options to help the driver. The new crossover should appear in showrooms before 2019. Presumably the price of the model will vary in the range of 32 000 – 47 000 dollars, depending on the configuration, which promise as many as five: LE (base); LE Plus (enhanced); XLE (partially leather upholstery + option package); SE (19 inch alloy wheels, leather + stylish black grille); Limited (top of the range) .